Scientists have estimated that we need to get the atmospheric carbon levels from 400 ppm of carbon dioxide back to 350 ppm in order to avoid catastrophic climate change. Lowering emissions is simply not enough. At 400 ppm, the planet will keep warming. A warming planet will generate additional natural carbon dioxide (e.g. tundra unfreezing, increased forest fires) that will trigger even more carbon to be released. The only way to stop the rise in global temperatures is to take carbon out of the atmosphere and store it somewhere. Specifically, to take 50ppm out of the atmosphere we would need to store approximately 100 gigatons (1 gigaton = 1 billion metric tons) of carbon. Unfortunately, oceans comprise 70% of the planet. They are not an appropriate place to store more carbon for carbon dioxide dissolves in water, forming carbonic acid which is harmful to many forms of sea life. We must solve the problem with the 30% of the planet that is land. The scale of what needs to be done is intimidating, but not impossible. Since the industrial revolution, land clearing and cultivation has released an estimated 136 gigatons of carbon. Bringing this carbon back to the soil would solve the problem. But how? The agenda that should be facing humanity is to figure out what practices are needed to attract, build, and retain carbon in the soil. If the human race wants to survive on a planet that looks similar to what it is today, there really is no alternative. The Sandy Arrow Ranch (“SA Ranch”) is a 22,500 acre cattle ranch/dry land farm located in central Montana owned by Eric Dillon. 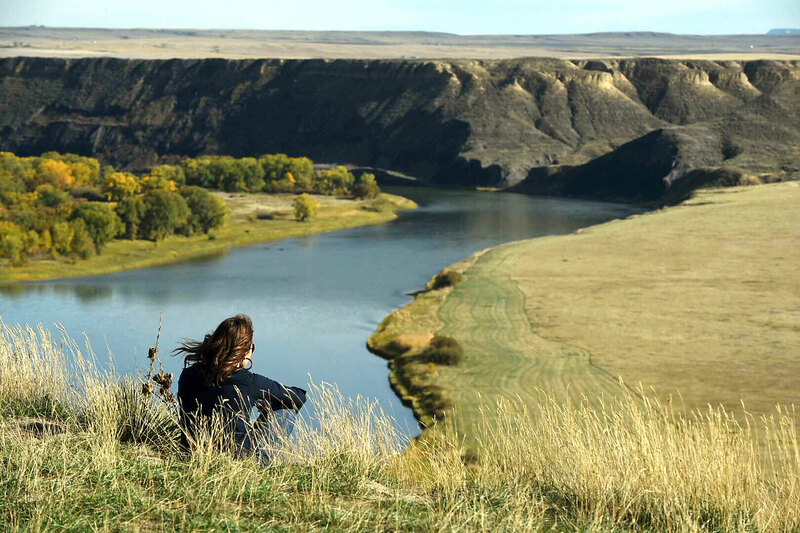 Eric’s ranch borders the Missouri Breaks National monument and this part of Montana is classic northern plains country. Lewis and Clark came through this country in 1805. They commented that this area held more wildlife than any other part of their expedition. What they witnessed was undisturbed, robust native prairie with millions of buffalo and other ungulates happily grazing. The prairie was a perfectly balanced ecosystem that nature spent 100’s of millions of years to create. In the last 100 years, man has upset this ecosystem through chemical focused conventional agriculture. Instead of lush poly‐cultures of native grasses, mono‐cultures of wheat are grown in synthetic chemicals (e.g. nitrogen and potassium) which has compromised the soil and turned water tables toxic. Eric is on a mission to prove that nature is still the best blueprint for the land. Under the concept of “bio‐mimicry”, the SA Ranch will be a giant Petri dish to prove that there are agriculture practices which can heal the planet as well as improve the health of humans. Beginning in early 2016, Eric retained scientists (Dr. Elaine Ingham and Molly Haviland) to help him create the “soils first” regenerative program that currently is being applied at the SA Ranch. The SA Ranch is working on many sustainability goals but incorporating carbon sequestration into sustainable agricultural/ranching practices is high on the list. 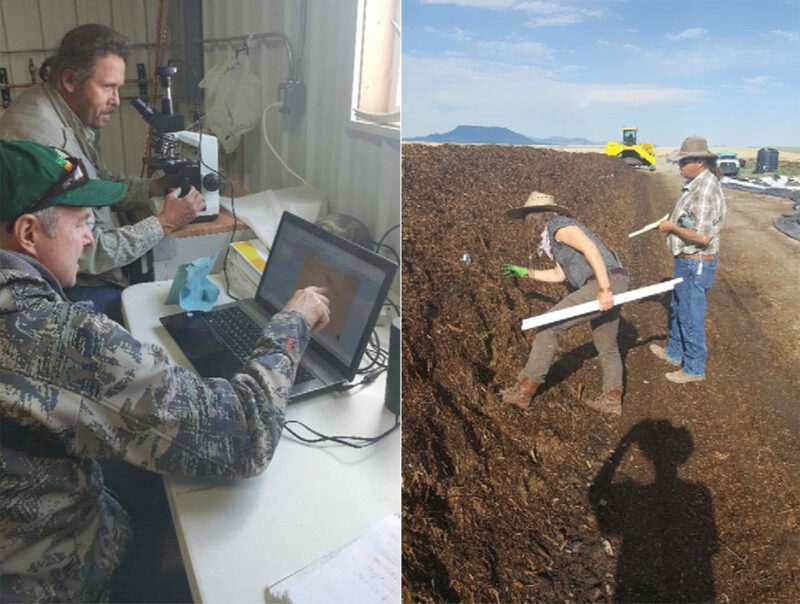 On this score, the soil project team at the SA Ranch is convinced that the answer to soil carbon restoration rests in biology. Healthy soil is full of living things: bacteria, fungi, algae, protozoa, etc. This teaming microbial community requires constant supplies of organic matter to survive. Plants supply the organic matter and, like most systems in nature, plants enjoy a symbiotic relationship with the microbial community. The picture below provides a look at some of the biology in the soil. 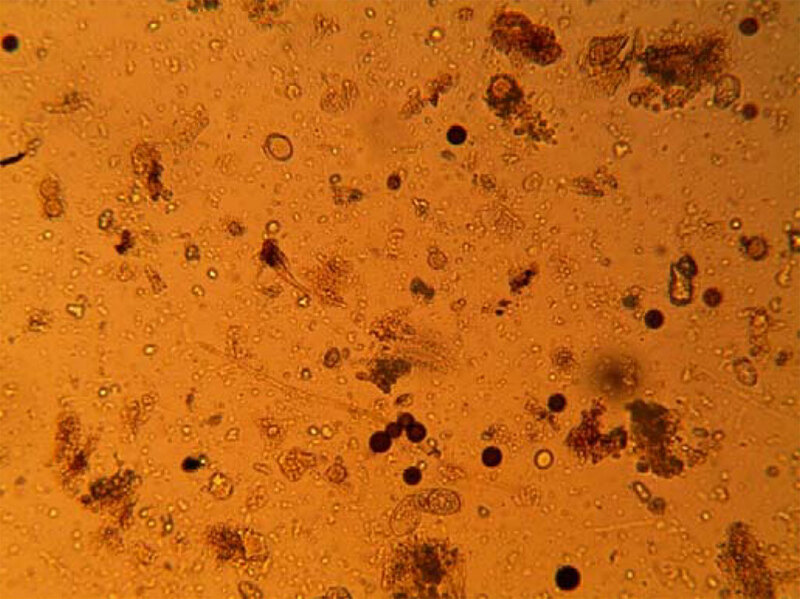 There are more microbial organisms in a teaspoon of healthy soil than there are humans on the earth. Healthy plants photosynthesize carbon dioxide and transform this carbon into sugars and other substances that they deliver down to the rhizosphere where hungry soil organisms devour them. In the process of eating, living, and dying, these microorganisms help plants devote more resources to photosynthesis which, in turn, consumes more carbon. This process is the essence of nature. Plants and the microbial community enjoy a beautiful mutually beneficial relationship that kept the planet in balance for millions of years. Unfortunately, man came along which began a long period of deforesting, clearing native grassland, planting with tilling equipment, chemicals, monocultures and many other forms of “not what nature does” impacts and… here we are. The SA Ranch is attempting to prove out a ground breaking (no pun intended) regenerative soil focused model for both agriculture and livestock. Central to this model is the thesis that carbon can be sequestered at a level that can be impactful to climate change through biologically based soil focused programs which meet other sustainable goals. Most of the soil in the northern plains has been severely compromised by conventional, chemical‐based farming. Non‐stop applications of RoundUp and other chemicals have destroyed the microbial community, turning the soil into dirt. Additionally, many ranches have not employed holistic grazing practices which has compromised both pasture and native grazing land. To turn this dirt back into healthy soil, we are working to jump start the biology through the use of compost. 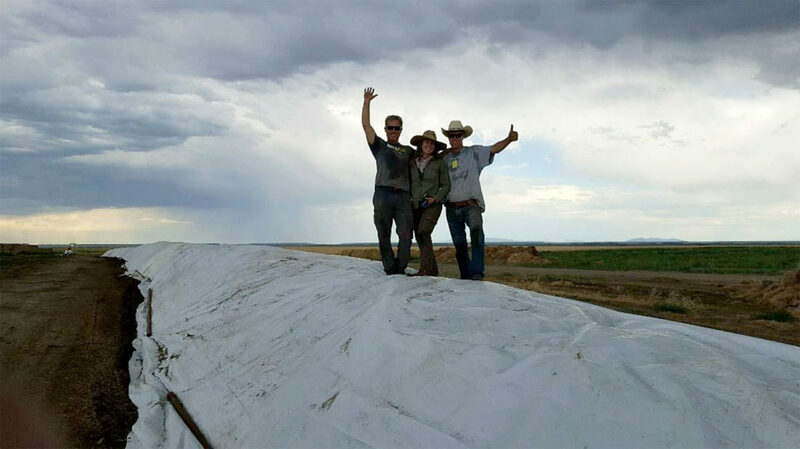 Using local organic materials (old hay, straw, wood, and manure), the SA Ranch is making thousands of tons of biologically robust compost on an annual basis. The resulting impact that this compost has will be tested across a broad range of application levels across both farmland and grazing areas. We will test carbon levels as well as assess soil quality, compaction, and moisture retention both through soil samples and crop results. Many scientific trials embracing biological soil principles have reported exceptional results, restoring an average of 2.6 metric tons of carbon per acre annually. As a goal, SA Ranch is targeting the restoration of 3.0 metric tons of carbon per acre annually over its agricultural fields and pasture land. To give you a sense of what this means globally, there are 8.3 billion acres of grassland and 3.8 billion acres of cropland across the planet. If all this land stored an incremental 2.6 tons per acre, over 20 gigatons of carbon would be sequestered annually and the 350ppm atmospheric goal would be met in 5 years. Governments in the United States and across the world are working on managing organic soil carbon (“SOC”) stocks. In the U.S., the USDA Natural Resources Conservation Service (“NRCS”) has conducted intensive research on this topic since 2005. The NRCS is a federal agency with a robust suite of cropland and grassland soil health conservation practices. They are an excellent steward of Federal land and consistent with Presidents Obama’s climate change commitments, the NCRS is working hard on soil carbon composition Goals. The NRCS has producing some excellent research on this topic and you can see a recent NCRS report on SOC under the “Montana Carbon Project” tab at www.sandyarrowranch.com. We are in active dialogue with the NRCS as it relates to our work on the Sandy Arrow Ranch. Globally, the most significant new development on SOC was at the Paris Climate Summit in December of 2015 with the launch of the 4 per Thousand Initiative (4PT) which is a goal to enhance the carbon stock on the world’s managed soils by an average annual increase of 0.4% (hence the “4 per Thousand” moniker). Also at the 68th UN General Assembly, 2015 was declared as the “International Year of Soils”. In France the Minister of Agriculture used the UN declaration and 4PT to highlight the climate change mitigation potential of healthy soils. Suffice to say that we are not the only evangelists on this topic. 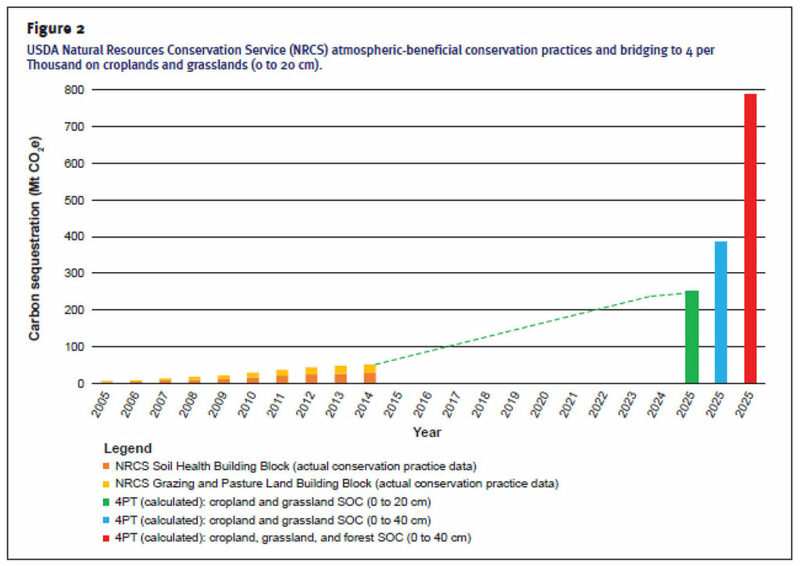 I would urge all to read the NRCS report listed on the Sandy Arrows Ranch website but the chart below is compelling. To summarize the chart, if we develop conservation practices that meet the 4PT goal across the cropland and grass‐land soils of the United States, close to 400 billion metric tons of carbon could be sequestered in the US alone by 2025. Source: “Soil carbon sequestration potential of US croplands and grasslands: Implementing the 4 per Thousand Initiative”. Journal of Soil and Water Conservation, May/June 2016 ‐ Vol. 71, No.3. Perennial Plant Systems: As one witnesses in nature, it is optimal to have living roots in the soil at all times. With perennial plants, the above ground foliage forms a barrier between the air and the soil which protects the soil. One of the guiding principles in nature is that the more biodiversity in the system, the healthier and more resilient the system is. On the SA Ranch, we will employ biodiverse cover crops and plant the cash crops directly into the cover crops’ root system. No Till Practices: Conventional and organic tillage methods are generally detrimental to soil health and carbon restoration practices. On the Sandy Arrow Ranch, “no till” practices will be utilized exclusively. Chemical‐Free Farming: It is abundantly clear that the use of synthetic agriculture chemicals is harmful to the environment and health, and they also reduce soil carbon. The toxins in pesticides, herbicides, and synthetic fertilizers can be fatal to soil organisms and without the microbial community sustainable benefits are lost. No synthetic chemicals will be utilized on the Sandy Arrow Ranch and all crop land will eventually be certified organic. Holistic Grazing Practices: Many people are concerned with ruminant animals due to the methane that they exhale which is a bad greenhouse gas. The methane is real but in a balanced, biologically active setting like what the Sandy Arrow’s “soil first” practices will create, methane is not a problem because thriving methanotrophic bacteria will quickly metabolize it. SA Ranch will employ holistic grazing practices (especially mob grazing) which has been proven to provide incremental carbon sequestration benefits. In addition to accelerating carbon build up, employing a “sustainable” biologically pure soil‐focused process provides many other crop based, environmental, wildlife, and health benefits. Healthy soil create soil aggregates, which are individual soil granules which are clumped and bound together. Soil aggregates act as sponges in the ground, enabling deep water retention. Increased water retention provides much‐ needed water to plants during low rainfall periods (thus creating more reliable crops) and also reduces erosion. When combined with a chemical‐free environment, the water filtering process that healthy soils with robust root systems provide cleans water. It is our hope that this model will play a role in cleansing the ground water issues that are rampant across farming communities and throughout America’s water systems. It is also intuitive that healthier plants that are grown in healthier soil, not held back by disease or confused by synthetic chemicals, will thrive and provide healthier food. Clean water and healthier plants also benefit livestock and create healthier animals and higher quality meat. The Sandy Arrow will also employ wildlife friendly ranching practices. Reducing the severity of anthropogenic climate change is one of the greatest challenges facing humanity. Most scientists agree that we are not likely to achieve large enough emissions reductions in the energy, transport, and industrial sectors alone to stabilize GHG concentrations at acceptable levels. If mankind desires to survive on this planet in a manner consistent with today’s lifestyle, there is no alternative but to restore carbon to the land it was released from. Land use currently accounts for about 25% of global GHG emissions, practices that mediate these emissions must be part of any effective climate change mitigation strategy. 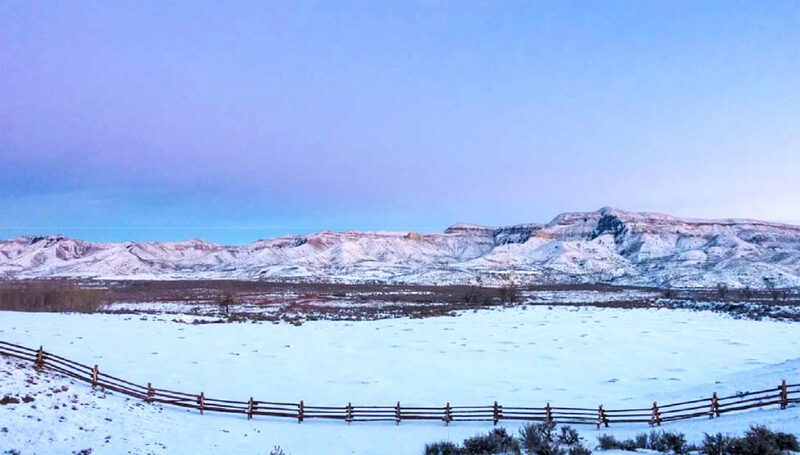 On the Sandy Arrow Ranch, we are attempting to provide a scientifically robust case study on what can be done with a “soil first” approach to agriculture and range land. In reality, we are just rebuilding the marvelous system that nature originally put into place. Prior to billions of humans and the industrial age, nature’s system had kept the planet’s climate in balance for 100’s of millions of years. 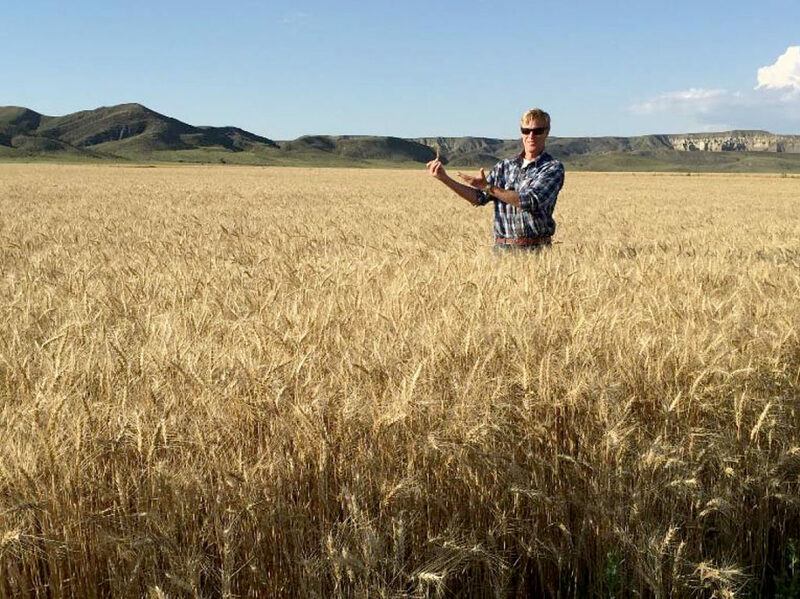 While the Sandy Arrow Ranch’s project is a tiny dot on the Northern Plains, helping to prove that soils can play a huge role in reducing atmospheric concentrations of CO2 is a colossal global agenda. We are not delusional about the task at hand. No matter how compelling the “bio‐pure organic” food produced on the SA Ranch becomes, the farm’s production output will be insignificant commercially. The Sandy Arrow will never be able to supply the stores where high volumes of health focused consumers go like Costco (top seller of organic) or Whole Foods. We also realize that creating robust consumer demand is the quickest way to get the attention of the institutional food complex. 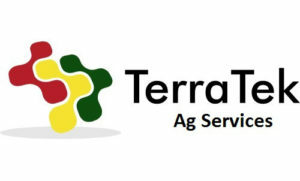 In our long‐term business plan, getting to a level of production (multiple farms) that enables the volume, branding and commercialization necessary to stimulate consumer demand is essential. The only way our approach gains widespread acceptance is if there is an economic model that is compelling to the typical Northern Plains family farmer. We are optimistic on this front. The reason for our optimism is that our soils focused process dramatically lowers input costs (no chemical costs) and if we succeed, the products we produce should receive super premium pricing due to their nutritional benefit and the momentum for healthy, sustainable food. In addition, we may create “carbon farmers” for if we can help establish proper carbon protocols, it may be the case that the carbon we sequester could be monetized. Even at today’s pricing, that could be $30‐$50 an acre of pure profit. This seems small, but it would be highly accretive to dryland farmers in the Northern Plains. The bottom line is that for both social and economic returns, our hope is that the Montana Carbon Project will help us find the fellow travelers necessary to get our concepts to scale. As the sponsor of the Central Montana Carbon Project, Eric’s day job is at Silver Creek Capital Management. Silver Creek is a specialty investment firm that has a growing a real asset division which currently includes a $1 billion southern pine, sustainable timber fund. The principles that the Montana Carbon Project are based upon are applicable across timber, agriculture, and range land. Our hope is that through a series of sustainable or impact investment funds sponsored by Silver Creek that we can lever up the work being done on the Sandy Arrow and take our regenerative agricultural approach mainstream. Winter is coming and that means conferences and courses on building soil. Here are some upcoming events that you will find me at. I’d love to meet you and share what has been happening over this last growing season. It’s good stuff! I’ll be speaking for a short bit, however, I will be attending the whole summit and will be around the following morning for a meet and greet and brainstorm session. On Friday I will offer you an Identifying the Microherd session where we will look at soils and Composts together. Bring your soil, composts or liquid amendments such as extracts or teas you made or purchase for application on your land. Let’s check out the world beneath your feet (or the one that should be there) for the plants you want to grow. Microscopes and appropriate equipment should be brought by you. More info on needed equipment to follow shortly. Saturday I will offer a lecture on the soil food web and how to get it into your growing systems, supported by success stories (and challenges) of implementing the soil food web. The first meeting of the Compost Exchange will be on January 14, 2016. There is more information to come for registering for this event that is FOLLOWING the MN Organics Conference. It is a separate event, however, many of the Farmers, Ranchers and Compost Operations I have worked with for the last 5 years will be at the conference and we want to keep you all there for one more day. Why? Check this out. Description: The art of soil building requires access to a multitude of tools. While there is no silver bullet to solve soil fertility issues, there is an essential catalyst tool for crop productivity, and that is the soil food web. The soil food web can be looked at as Nature’s fertilizer bags and Nature’s fertilizer bag openers and spreaders. As with any craft, learning to build soil with the soil food web takes some patience and know how. The truth is, building a diverse soil food web is different for every farm and every Compost operation. The Compost Exchange aims unite Compost Operations and Farmers that 1) want to build the soil food web or 2) have been building the soil food web, together to exchange knowledge and Compost. (We don’t call it Compost Exchange for nothing!) There are trade secrets to be shared and heard. So bring your stories of challenges and successes. It’s time to build some soil! *Participants are asked to bring a 1 qt bag with the best Compost they have made. All Compost will be mixed together and redistributed to participants for a take home inoculate. Remember, when you increase the diversity you will increase productivity. *There will be microscopes on site as well as microscope technicians to do brief and live soil or Compost assessments. Course Schedule: (This event is under development, the schedule below is subject to change. The course update will be reposted no later than November 1, 2016. 1-2:00: Successes, Challenges & Trade Secrets Exposed – Key knowledge from those with feet on the ground. What have been the challenges, what were the solutions. We will share up to date field experiences of what is happening on farms in the West and Midwest as they increase diversity in their Compost and on their fields.